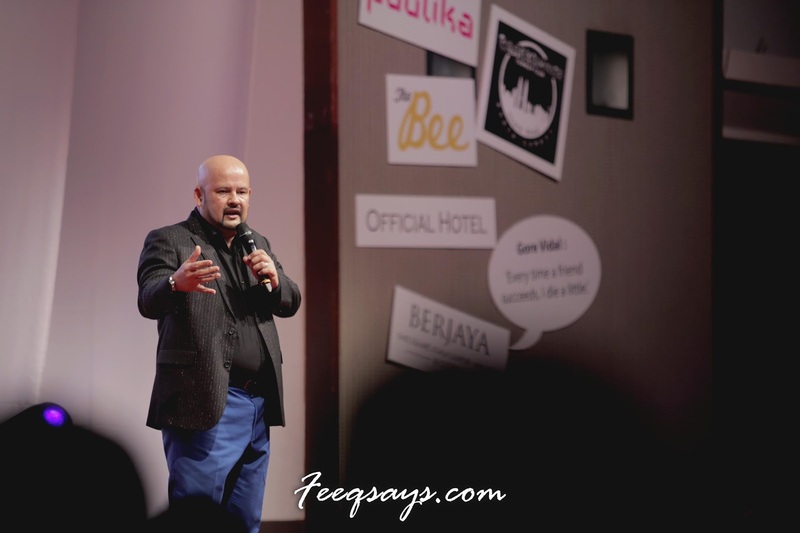 This is the Laugh Malaysia Gala Night! Last night I was at ‪#‎KLICfest2015‬ Gala Night. Sometimes you need a laugh in your life, no matter what happened. What I like about international comedian compare than local comedian is, their joke all “fun stuff” hahaha. Sometimes naughty stuff can be really fun. Gina Yashere, Paul Ogata, Jonathan Atherton, Barry Hilton, Tom Rhodes, Rex Navarrete, Nazeem Hussain, Micah Andreas (Open Mic Champion) and HARITH ISKANDER. Like https://www.facebook.com/KLICFest2015 for more information. I have good news for you. Additional show added due to popular demand ! This is improve comedy at it’s best ! Quick, think of a joke. An original one, not a joke from the Internet. Go. Stuck at the first word to a one-liner? Recalling an anecdote? You’re already too late. In the fast world of stand-up comedy, a nanosecond makes all the difference between headliner and flatline. Comics are always on their toes and off the cuff. Prepared yet spontaneous. Impromptu yet focused. You will never see a dancer perform moves suggested by the audience or an orchestra willingly being lead by the conductor’s brother who majored in IT, but when comics start Making Sh#t Up, you get to see comics shoved out of their comfort zone and yet entertain just as well at a tight comedy gig, if not more so. This is it. This is the big one. This is Ali vs Frazier. This is Queen at Wembley. This is the Beatles on the Ed Sullivan Show. This.Is.Huge. 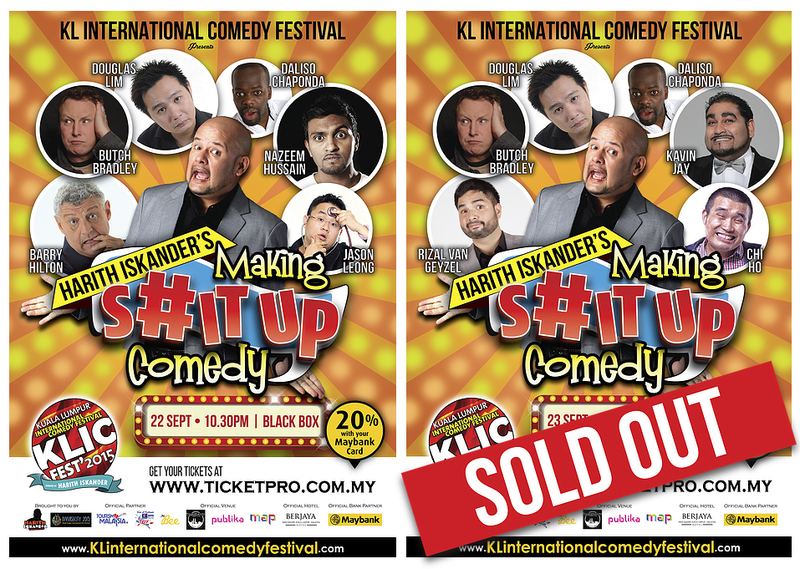 This will feature the best comedians from the best comedy festival ever (we’re talking about KLICFest 2015!) coming together for one epic night of stand-up comedy. This show is simply too much to handle. This may just make the universe implode. This is a warning for you to get tickets and together, we go out with a bang. This is the show to end all shows. This is it. Nazeem Hussain is the star of his own critically-acclaimed TV show, ‘Legally Brown’, which aired on SBS in 2013 and 2014. The show broke ground with it’s boundary-pushing content and received wide spread critical acclaim. Nazeem’s also well known as a stand-up comedian and until recently was one half of cult political comedy duo Fear of a Brown Planet (FOABP) with Aamer Rahman. FOABP first appeared on the Australian comedy scene in 2008, with a sell-out run at the Melbourne International Comedy Festival. They were awarded the prestigious ‘Best Newcomer Award’ that year and won over critics and fans alike. Hussain went on to regularly perform with Fear of a Brown Planet across Australia, including two shows at the prestigious Sydney Opera House in 2013. Filipino-American comedian Rex Navarrete discovered his knack for telling jokes when he was going to school in the San Francisco Bay area, when he would bring in Eddie Murphy’s classic album Comedian to show his friends. When he began attending college, his parents assumed that Navarrete would become an architect, but at the insistence of one of his professors, he gave standup comedy a try, and immediately knew he had found his calling. In the spring of 1989, the then 19-year-old did his first routine in front of 800 people at the annual Asian Pacific Islander Student Union conference at U.C. Santa Cruz, and hasn’t looked back since. 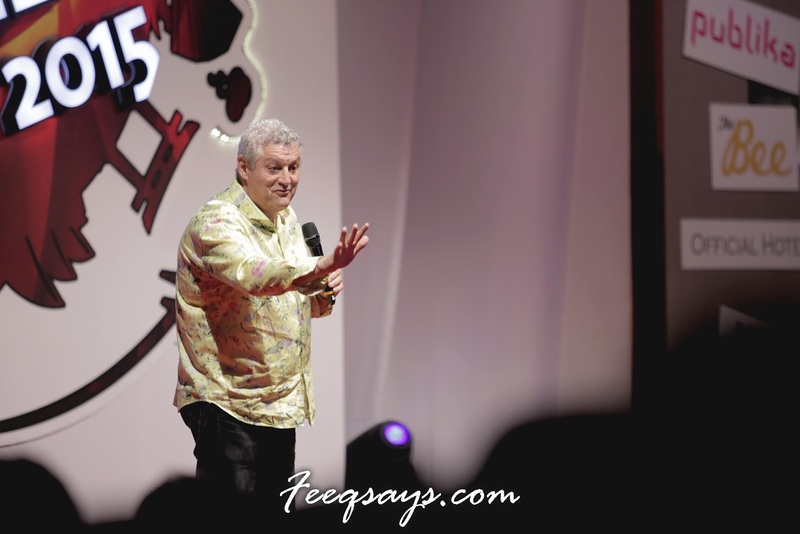 Every good comedian knows that timing is everything – and with Barry Hilton that goes way beyond the punchline. Not only is Barry one of the funniest comics around, he’s also one of the most professional, personable and punctual. Gina has been a stand up and TV star in the UK for several years, with appearances on iconic TV shows such as Live At The Apollo & Mock The Week. She broke onto the American comedy scene with her appearances on Last Comic Standing (NBC), where she made it to the final 10. She is also known in the US for her regular, hilarious appearances on The Tonight Show with Jay Leno (NBC), as Madame Yashere, The Surly Psychic. What you don’t know is that Gina Yashere’s sellout live appearances are legendary. Her bombastic delivery, infectious personality and cheeky observations have wowed audiences not just in the UK and the US but also in Japan, Dubai, Hong Kong, Singapore, Indonesia, Australia, Canada, South Africa, and all over Europe. For those who know me, I really love my #HtcOneM9Plus. There have many reasons why I like it. These are the example. Sometimes people said, because I get endorse by them. The truth is, I have been using the HTC for quite some time. Many years, even before I start blogging and before the brand S hit the market like mad. For me, loyalty comes when I love something badly. This is what happened last night right after the press conference. For those who follow me on my Instagram, I did a #LiveUpdate about #KLICfest2015 (https://instagram.com/feeqsays). During the mingle session, I did a Selfie with all the comedian. They are really fun and friendly FYI. This is where the fun part is. Thank for the #Ultrapixel front camera quality (good for low light capture), Auto Selfie (you don’t need to press any button to capture) and of course the beauty effect, everyone is looking good. Gina & Nazeem (the comedian) really impress with the photo quality and ask me to directly send them the photos on the spot through Instagram. They curious why I don’t need to press any button to capture the photo and how can I fit many of us in one photo hahaha. Oh yeah, they did follow my Instagram too. I’m a happy boy. Well, I don’t want to talk a lot because most of you won’t believe anywhere. You will think this is another sponsor post. Just ask anyone who were there because they witnessed it. Thank you #HtcMalaysia #HtcSA for the awesome phone. Keep it up. Hopefully the next one you guys make both front and back camera is UltraPixel please..
Do follow @cvsproduction & @feeqsays for more photo and video. The comedian with the press. Thank you Christopher Tock and SocialGrooves.com for the show.